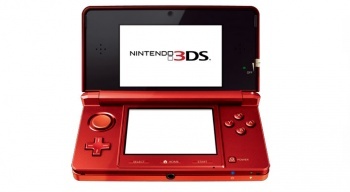 Even Sony can't stop talking about how great the Nintendo 3DS is. Sony has been all about 3D from the get-go, and is happy that Nintendo is on the bandwagon as well with its 3DS handheld. Basically, the more people that know about 3D, the better. That's according to Sony's Mick Hocking anyway, who at a recent presentation said: "We are very pleased that Nintendo is launching in the field of 3D with its Nintendo 3DS, as this will give the general public a better understanding of 3D and thus democratizing this technology in some way." "It's certainly a good thing for our products, screens, and PlayStation 3 compatible 3D," Hocking continued. It doesn't seem like it's going to be that great for Sony in the realm of the handheld, though, if Sony even plans to release a new iteration of the PSP at all anymore. Microsoft still feels 3D is ahead of its time, and could potentially be left behind if 3D happens to catch on. However, with the cost of 3D television sets, it seems unlikely that this would happen anytime soon. Still, even after gouging out my own eyes and clogging my ears with cement, Sony and Nintendo have now been sending psychic messages about 3D into my brain so I just can't seem to get away from it. Sony must really want consumers to bite on 3D if it's happy about a competitor innovating and having success.